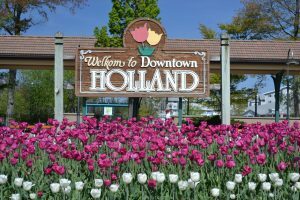 To see for yourself how school choice leads to segregation, I recommend a visit to Betsy DeVos’ hometown of Holland, MI. Here, two decades of the policies that the Trump/DeVos education budget now wants to take national have resulted in white flight and school closures, leaving Holland’s poor and minority students segregated in the few schools that remain open. 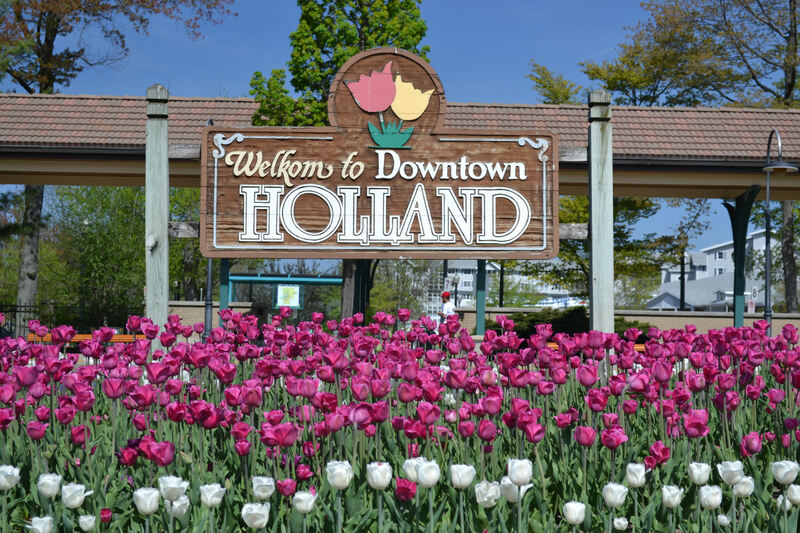 I traveled to Holland last week for the annual Tulip Time festival, a celebration of the city’s Dutch heritage. But along with Dutch shoes and swagger, the legacy of Michigan’s now two decade-long experiment with school choice was on vivid display as well, and it wasn’t pretty. During a recent talk to tech investors and *edupreneurs,* Secretary of Education Betsy DeVos, the least regarded of all of the rogues and billionaires who compose the Trump cabinet, returned to a favorite theme of hers.Apple, Uber, and Airbnb have worked their disruptive magic on one industry after another. Why aren’t our public schools being similarly disrupted? *Who here can pull out their Blockbuster card? * she asked the crowd. Beneath the folksy tech talk, though, lurks a radical vision, one that is taking root in state after state. 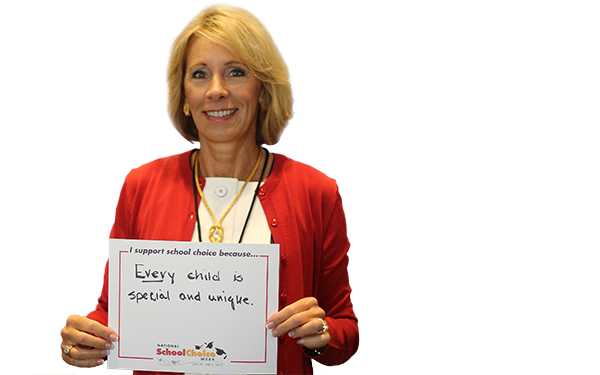 The ultimate aim of the project of which DeVos is now the most visible face is to remove education from the public system. Those *buildings* of which she speaks so disdainfully, the disparaging *status quo* never far behind, represent the entire architecture of public education, and more importantly, its democratic control.Diminishing this is key to reaching the promised land of privatization. 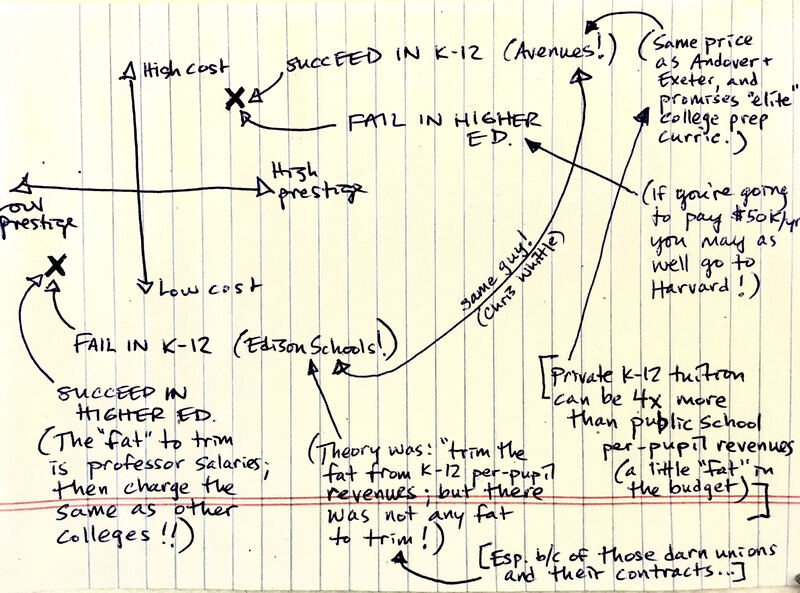 Stodgy school boards are standing in the way of getting there; so are superintendents and parent teacher associations and teachers unions — above all, the teachers unions.Unfettering the markets is only part of the vision. Control over the process of socializing children, the near-monopoly domain of a system that is both secular and, as the libertarian right deridingly characterizes it, collectivist, is another prize. And if there is some money to be made along the way, well, there’s nothing wrong with that. DeVos’s efforts to take public education private are uniting seekers of profits and prophets. Let’s take a look at some of the key battles over those efforts. The implication, of course, is that armed with their pre-loaded education debit cards, Arizona’s youngsters will boldly stride forth into the future. But despite all of the Silicon Valley-ish talk of disruption, innovation, and technology-spurred personalized learning, the winds of change are also blowing backwards. Go back a century and a half and you land roughly in the time of Horace Mann, who ushered in the Prussian model of universal, secular education paid for by the public themselves — something that irked the wealthy even back then. They could smell higher taxes coming, and besides, they sent their own children to private schools. The rich have grown no fonder of footing the bill for public schools over the years, but the 150-year-old shift away from the family as the locus of education and to the secular state still rankles. The number of parents who homeschool their kids, especially for religious or *moral* reasons, is exploding; the school choice bills popping up in state after state are aimed at expanding their ranks further. The Arizona voucher program — which the fundamentalist America Family News Network describes as *funds for the individual, not the masses* — allows parents to use state funding to pay for homeschooling. The irony is that antipathy to democratic public education, a cause that took off in earnest almost as soon as Mann’s common schools were born, has found new life thanks to the anodyne *personalization* speak of Silicon Valley. Since every child is a software-enabled snowflake, are public schools (or the taxes that pay for them or the teachers who staff them or the unions they belong to) really necessary at all? In a recent New Yorker profile of Robert Mercer and his daughter Rebekah, the conservative mega-donors who have fueled and funded *Galt-right* populism, Jane Mayer notes that the Mercers’ first significant political investment went to an obscure Oregon pol named Arthur Robinson. In Oregon, Robinson is known as a kooky Tea Party-ish chemist who has been stockpiling urine as part of his mission to improve health, happiness, prosperity — and boost student test scores. He’s also a perennial GOP congressional candidate whose long-shot bids have been mostly underwritten by the Mercers. Robinson lost the election, his fourth bid against Democrat Peter DeFazio, a thirty-year incumbent. But his call to free youngsters from *schools of political, bureaucratic, and union design* could be lifted from a recent Betsy DeVos speech. The Mercers are better known for their patronage of Steve Bannon, including bankrolling Breitbart News and the Government Accountability Institute, previously devoted to attacking Hillary Clinton from the right. Last year, Rebekah Mercer, who homeschools her four children, teamed up with Bannon on yet another collaboration: Reclaim NY, an organization that *believes deeply in helping each citizen reclaim ownership in government. * Reclaim is providing this assistance by targeting every school district and municipal government in the state with FOIA requests and lawsuits so that citizens can see for themselves what the wealthy have long understood: taxes are a wasteful indignity. While Bannon’s version of economic nationalism doesn’t have much to say about public education (save that undocumented immigrants shouldn’t receive it), the overlap between his aims to destroy the administrative state and break up the institutions of public education sought by DeVos et al is obvious. Education is the largest ticket item in nearly every state. Starving the beast will necessitate dismantling the schools. *College and heaven* is the stated goal of the Florida Catholic school that Betsy DeVos dropped by on one of her first official school visits as the nation’s top education official. The all-star delegation to St Andrew in Orlando, which included Donald Trump, Jared Kushner, and Ivanka Trump, was intended to showcase Florida’s $700 million tax credit scholarship program, a concept that has more in common with money laundering than charitable giving. Tax credit scholarship programs like Florida’s are spreading from state to state; seventeen states have enacted some version of these, while new varieties seem to pop up every week. These *neo-vouchers* are a new solution to the same old problem that has vexed the anti-public-school crowd since the days of Mann. Here at last is a way for the wealthy and corporations who don’t enjoy paying taxes, least of all to public institutions, to score a windfall at the expense of the state’s public education system. And their young beneficiaries have an alternative to the *uniformity* of secularism and socialism. Sunshine State students can now attend the Thales Academy network of *classical* schools, founded by a libertarian businessman, that stresses the importance of a market-driven economy a la Von Mises. But count the Florida kids being schooled in alt-dismal science as among the lucky few. Of the one hundred thousand students now attending private schools courtesy of the Tax Credit Scholarship Program, 83 percent are in religious schools, where they learn about creationism instead of evolution, and agree to adhere to Biblical principles like not being gay. As for how students in the program are faring, it’s hard to tell; Florida’s private schools are exempt from annual state testing. The Florida program has just been expanded again, a priority for the new speaker of the House, a Koch-branded conservative who kicked off the legislative session by calling out the state’s teachers unions as *evil. * But the real goal in Florida is to make vouchers universal, finally freeing up the state’s youngsters from the dictates of the central planners, and incentivizing their parents to *seek the best bang for their buck* in education spending. While the school choice cause has undeniable momentum, it’s also encountering significant headwinds.Voucher proposals that would have done significant damage to public schools imploded this spring in the GOP strongholds of Texas and Arkansas, where even the influence of the Waltons, owners of Walmart and America’s first family of school privatization, wasn’t enough to overcome a diverse coalition of opponents. In both states, rural Republican legislators pointed out that without schools, whole communities will dissolve. They joined forces with the oft-derided *status quo*: the public education groups whose warnings about wholesale school privatization no longer seem so far-fetched. Long before anyone outside of Michigan had heard of Betsy DeVos, Democrats like Dwight Evans enthusiastically joined the war against the teachers unions. And it is Democrats who have pushed to redefine public education in one city after another as an individual parent choice to be exercised in a competitive marketplace rather than a collective, community good. School choice has been legitimized, not by DeVos et al, but by the likes of Corey Booker, Rahm Emanuel and other reform-minded Democrats. If saving public education is to be a key plank of the #resistance, Democrats will have to join the fight or be swept aside. This story originally appeared on Jacobin.com. 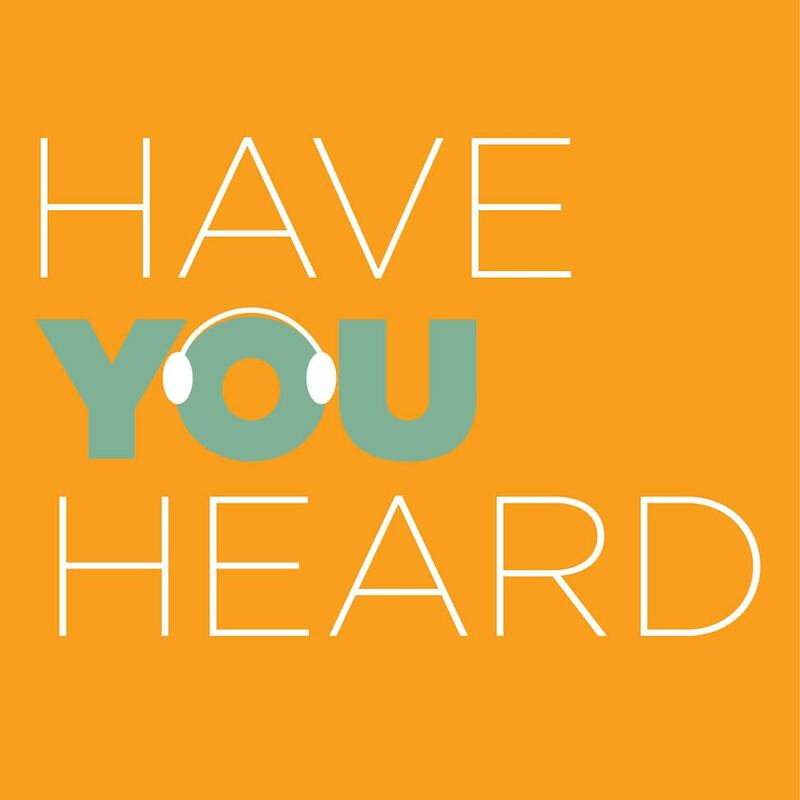 JenniferBerkshire: You’ve been leading a one-man crusade to expose what you say are false claims being made by the Relay Graduate School of Education and other startup teacher training programs. How’s it going?